As you enter the relatively small restaurant you’ll encounter a V-shaped counter, and must decide whether to turn right or left. Customers who turn to the right can choose one of the 22 seats available for eat-in orders and then enjoy their order amongst the eclectic clientele of office workers, postal employees, civil servants, and construction workers, as well as doctors, lawyers, and executive types. If you’re there for a take-out order, or there are no available seats and you’re settling on getting your order to go, you turn to the left. After filling out the little slip of paper with your order, you can watch it quickly and expertly being cut and assembled as you progress through the line to the checkout. It’s almost like being treated to a show. 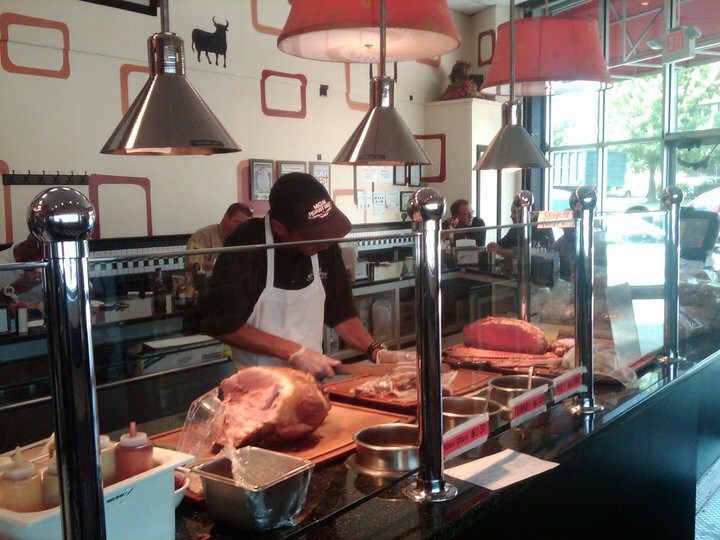 As if to further entice customers, while waiting in line to place and pick up a to-go order, customers are afforded a direct view of the succulent meat as it is being carved to order for their sandwich. Options on display on juice-drenched wooden cutting boards include more than just the roast beef that their name might indicate. Having to choose between roasted turkey, a bone-in ham, top round of beef, as well as their famous brisket, can make for a difficult decision. All of the menu options are worthy in their own right, but my favorite is the brisket, served on a soft, fresh-baked poppy seed-onion roll. I like to add a slice of Swiss or provolone, and some lettuce, tomato, onions, and horseradish sauce. Served with an order of real hand-cut French fries if I’m eating in, or house-made potato salad with a to-go order, and it ranks right up there among the best sandwiches in the entire D.C. area. In addition to the almost exponentially unlimited number of hand-carved sandwich variations, MGM also serves up chicken and tuna salad sandwiches, or even grilled cheese or peanut butter and jelly. 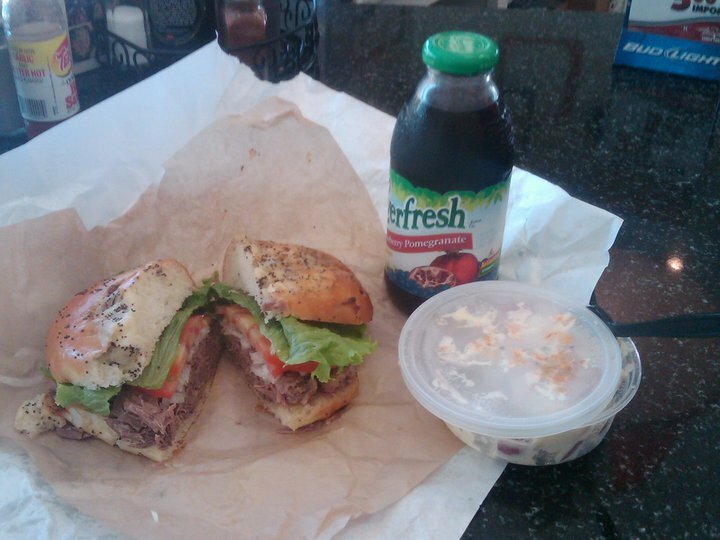 They also offer open-faced sandwiches and lunch plates, fresh soups, and creamy cole slaw. A variety of desserts are of available and of equal quality as well, such as fresh-baked cookies or brownies, lemon pound cake, or a moist sweet potato cake with cream cheese icing. Most everything is made in-house, and it shows. 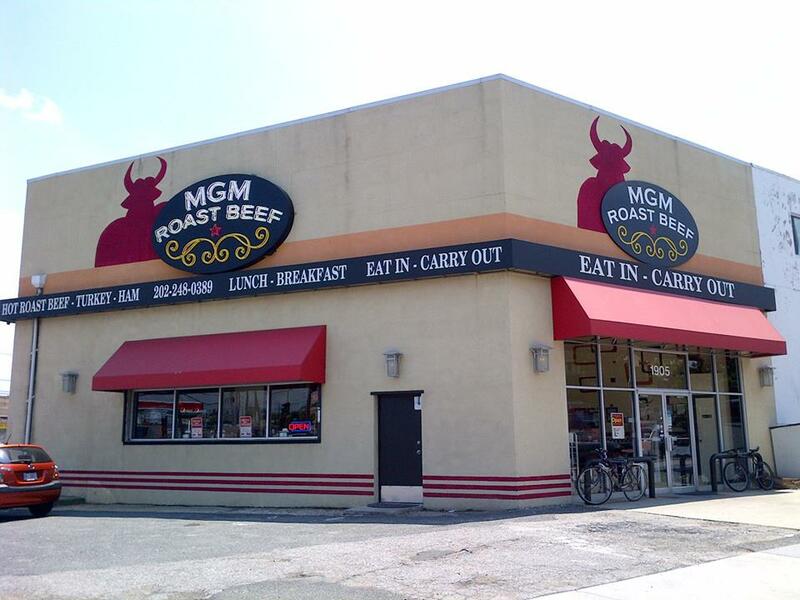 If you’re in the neighborhood but it’s too early for lunch, MGM is open for breakfast too. 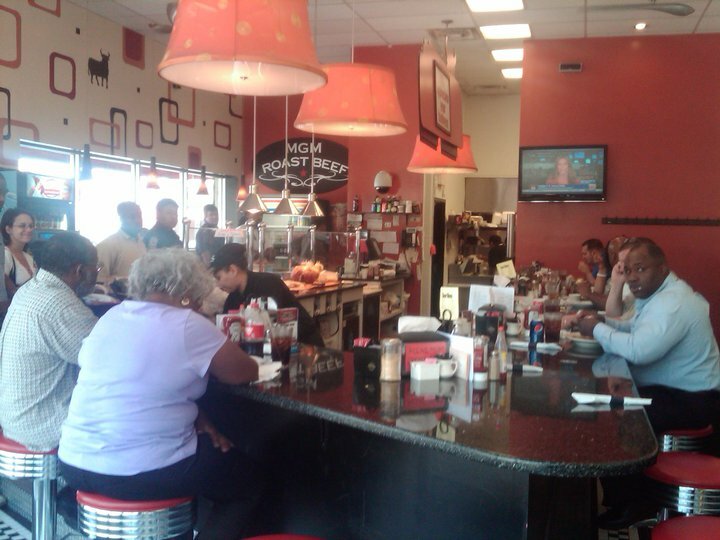 From breakfast plates to breakfast sandwiches, they offer all of the usual breakfast choices. But the star of the breakfast options is the Belly-Buster sandwich, consisting of six ounces of brisket and two eggs over hard. You won’t find it on the menu, but feel free to ask about it. Regulars know all about it, and now so do you. Lastly, although it did not affect me personally since I arrived on a bicycle , the tiny size of the parking lot warns that parking may at times be an issue, especially during their busiest lunchtime hours. However, there is on-street parking in the area, so don’t be intimidated if you pull up and find a full parking lot. Or better yet, ride there on a bike like I did.